Are you under a tax audit? Nothing is as gruesome as receiving a notice or letter from the IRS let alone being under a tax audit. Although most people envisage a tax audit as being approached by some scary government agents who are there to cause you anguish, you probably have no cause for alarm especially if your books are clean. An audit is simply a formal examination of your tax or business record and you should not fear anything if you have been taking proper records of your business transactions. As much as an audit may not be a complex process, here are some things to keep in mind when the IRS comes knocking on your door. It is always prudent to be as brief as possible during your initial interactions with the tax auditors. What most people don’t know is that these tax auditors are trained to listen and assess all the information that you offer them. Although most people get worked up when under scrutiny from tax auditors, you will do yourself a lot of good if you can keep it together and avoid giving unnecessary information. Failure to do this can result in reviewing tax years that were not initially planned. Another great advice when under a tax audit is to fully cooperate with your tax auditor. Do they need some documents from you? Come prepared with all the files that they require and make sure they are properly organized. This will not only save you time but will also help you have a cordial relationship with your auditor. These individuals are known to be quite observant and can know when something smells fishy. Another sure way of losing money or even wasting time is lying or even making misleading statements during an audit. How? You may wonder. Auditors are known to ask simple questions or inquire about issues that they already know to assess whether you are trustworthy. It is always important, to be honest, but brief when interacting with an auditor. The first and, arguably, the most important decision you can make is to hire a tax consultant to help you wade through these murky waters. The IRS allows you to represent yourself during the proceedings or to be represented by a tax professional. A good tax attorney should have comprehensive knowledge of tax audits as well as the tactics used by the IRS when auditing tax records. There is a high chance that a good tax attorney will help you get a better outcome of the audit. You may not entirely agree with the tax audit report and that is fine. The IRS allows you to appeal the audit report if you do not agree with all the results. 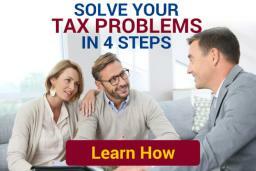 You have a couple of options here which may include meeting with your auditor’s manager, lodging an appeal with the IRS and even taking the matter to tax court. A tax audit doesn’t have to be a matter of life and death. Knowing what to do when you get a notice from a tax auditor can help you get the best outcome when being audited.